Sierra Wireless AirLink® MG90 High-Performance Multi-Network In-Vehicle Router with AirPrime® EM7511 Embedded Module Certified and Approved for Operation on FirstNet in the U.S.
Richmond, BC, July 5, 2018--(T-Net)--Sierra Wireless (NASDAQ: SWIR) (TSX: SW), a leading provider of fully integrated device-to-cloud solutions for the Internet of Things (IoT), today announced its AirLink® MG90 High-Performance Multi-Network Vehicle Router, based on its AirPrime® EM7511 embedded module, is certified and approved for use on FirstNet. This is the first device of its kind to achieve the FirstNet Ready™ designation. FirstNet is the nationwide public safety communications platform dedicated to America's first responders. Being built with AT&T*, in public-private partnership with the First Responder Network Authority (FirstNet Authority), FirstNet is bringing public safety agencies a much-needed technology upgrade to help them connect to the critical information they need. The FirstNet Ready AirLink MG90 router supports FirstNet's First Priority™ - which includes priority and pre-emption for first responders - and FirstNet's 700MHz Band 14 spectrum. The AirPrime EM7511 LTE-Advanced Pro Embedded Module was also recently approved by AT&T and is the first embedded module available for the FirstNet™ network. "We're pleased to welcome Sierra Wireless to the FirstNet ecosystem," said Chris Sambar, senior vice president, AT&T - FirstNet. "The more tools public safety has access to on their network, the more we can help them achieve their mission. Sierra Wireless already has a well-established relationship with the first responder community, and with the FirstNet Ready designation, first responders can be confident that Sierra Wireless' AirLink MG90 router is a trusted solution that meets FirstNet's standards for relevancy, high security and performance." Before being certified and approved for use on FirstNet, devices are subject to hundreds of tests that cover a number of aspects, from security and durability to network impacts. This helps make sure that they can meet the needs of first responders. The AirLink MG90, a high-performance vehicle multi-networking platform, is purpose-built to provide secure, always-on connectivity for mission-critical applications in public safety, transit and field services. The newest AirLink MG90 variant supports LTE-Advanced Pro (Cat-12 speeds) and can switch seamlessly between FirstNet Band 14 wireless spectrum and other U.S. commercial mobile networks, with dual concurrent Gigabit Wi-Fi and Gigabit Ethernet and extensions to Land Mobile Radio (LMR) and satellite systems. Part of the AirPrime EM75 Series, the new EM7511 embedded module provides 4G LTE Advanced Pro Cat-12 coverage, including FirstNet Band 14, with 3G fallback and integrated GNSS, delivering up to 600Mbps downlink speed and 150Mbps uplink speed. The EM7511 module will enable IoT device manufacturers to deliver new solutions to the public safety community. "Sierra Wireless has been helping advance first responders' communications capabilities for more than 15 years, allowing public safety organizations to deploy reliable and cost-effective wireless solutions," said Jason Krause, senior vice president and general manager, Enterprise Solutions, Sierra Wireless. "More than half of the top 100 public safety agencies in the U.S. rely on Sierra Wireless products for mission-critical communications. We're proud to collaborate with the FirstNet Authority and AT&T to support the FirstNet initiative to keep first responders and communities safer, and we will expand our portfolio of FirstNet Ready™ products in the coming months." EM7511 modules are available now for OEM testing and integration. AirLink MG90 routers with support for LTE-Advanced Pro and FirstNet Band 14 are commercially available today through Sierra Wireless' authorized channel partners. Options to upgrade existing AirLink MG90 units that are already currently deployed are also available. 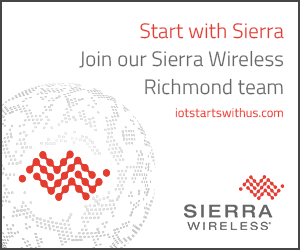 Sierra Wireless (NASDAQ: SWIR) (TSX: SW) is an IoT pioneer, empowering businesses and industries to transform and thrive in the connected economy. Customers Start with Sierra because we offer a device to cloud solution, comprised of embedded and networking solutions seamlessly integrated with our secure cloud and connectivity services. OEMs and enterprises worldwide rely on our expertise in delivering fully integrated solutions to reduce complexity, turn data into intelligence and get their connected products and services to market faster. 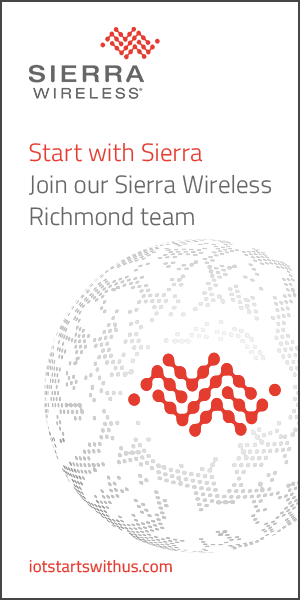 Sierra Wireless has more than 1,300 employees globally and operates R&D centers in North America, Europe and Asia. For more information, visit www.sierrawireless.com. "Sierra Wireless", "AirLink" and "AirPrime" are trademarks of Sierra Wireless. Other product or service names mentioned herein may be the trademarks of their respective owners.